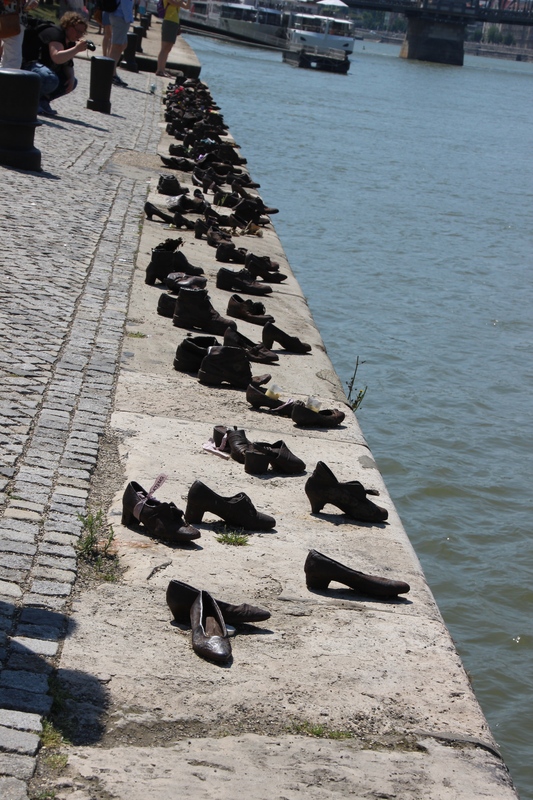 Along the bank of the Danube in Budapest, Hungary are 60 pairs of shoes cast in iron. It is a memorial erected in April 2005 to honor the many Jews killed by the Hungarian fascist Arrow Cross militiamen from 1944 to 1945. 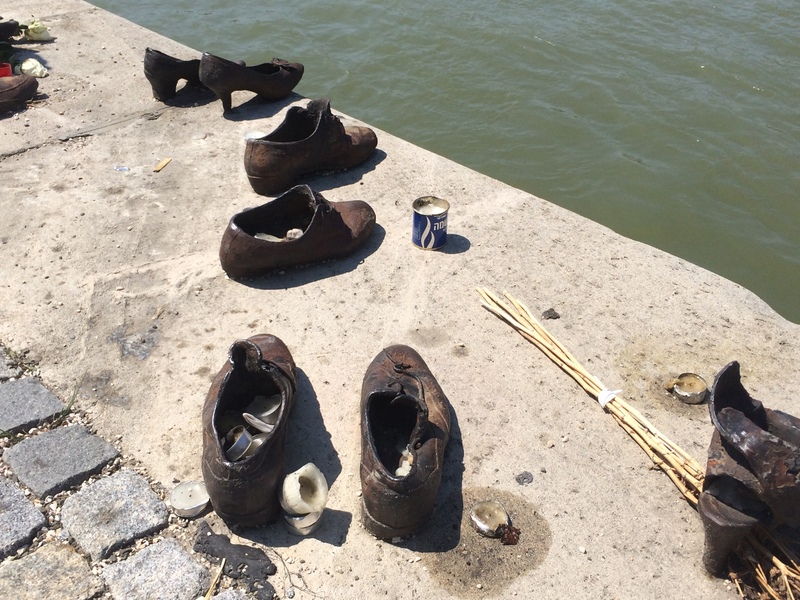 Jews were rounded up and made to remove their shoes as they were lined up on the river’s edge. Their bodies fell into the river as they were shot by their fellow Hungarians. Before their bodies fell in morning sun. My brothers, who have you killed. This entry was posted in Prejudice, bullying.